If you are like me you simply love your standing desk. But with all good things there are some downsides to a standing desk. Namely, the foot and ankle pain that come with having and using a standing desk. The answer to this is a standing desk floor mat. 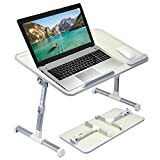 Having a floor mat to stand on allows you to use your standing desk and enjoy all the benefits of not sitting all day, while at the same time avoiding the foot and ankle pain that come with using a standing desk. The first standing desk floor mat I used was simply one of those mats you see in the grocery store that the clerks stand on all day. I thought if it was good enough for a grocery store clerk it would be good enough for me. But after awhile I was still having the pains in my feet and ankle from the mat being simply too hard and mainly standing in one place all day and not moving. The answer to this was the ergonomic standing desk floor mat. An ergonomic standing desk floor mat is simply a mat that is not just a flat piece of rubber. It might have ridges or shapes like small rock shapes or even a ball you can move around with your feet. I have tried a couple of these and I like the ones with different textures or balls to move around or different heights to stand at and stretch your feet or ankles. The five best Ergo standing desk floor mats. I will show you what I personally like about each of the following mats. I personally like mats that have different levels or textures or a ball or two to roll on my sock covered foot as I’m working. The following mats are all highly reviewed any of these would be a good choice for your standing desk needs. I love this mat the great things about it are just the multitude of different angles and heights you can stand at. I also like that it is just intuitive to move on this thing it’s not something you think about it just happens throughout the day. Something else I really like about the topo mat is the center rock or ball shape. It’s a place to stand with your heel up or toes up. That is something I really like about this matt is simply all the different angles you can stand at. 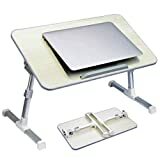 The Terramat Standing Desk Mat shares many of the same qualities as the Topo Mat however what I really like about this mat is that the shape is more random that the fairly straightforward shape of the Topo mat for that reason alone I prefer the TerraMat I like this mat because the shape is more random. This mat has an outside rim in the back but then it has some rock shapes along the sides and a big bumper in the front. The Licloud Standing Desk Mat is a little different from the two above. Simply because it comes with two massage balls. I didn’t know what I would think of this at first or if I would even use them. Now I will find myself standing on one foot and rolling the other foot on the massage ball and I don’t even realize I am doing it unless I think about it. This is a really great mat for a couple of reasons. One the price is relatively reasonable compared to the others on this list. The shape the shape being an oval really helps it fit in those tight office spaces that some companies have out there today or even that small space in your home office. The people I know that have this mat simply love it. The EaseeMats Standing Desk Mat is an easy one to love. It has everything I love in a standing desk mat. Mainly lots of angles to place your feet and different places to stand to basically keep you moving throughout the day. It also has the two balls which with this mat you might not use as much as the other ball type mat simply because there are so many places to put your feet and different ways to stand. But having the balls is always great. This is my list of the top five Ergonomic standing desk mats on the market. Any of these choice should be great to add to your office or home and should serve you or a long time to come. 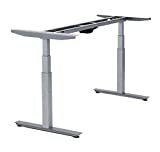 So get rid of that pain in your feet and ankles today get a standing desk mat. The Best New Winter Coats For Women.